When the clouds roll in, the rain bounces off tiles designed for dry weather, and the normally inviting sea looks about as welcoming as a basin of washing up water, purpose-built beach resorts are dreary and depressing places to be. Without sunshine they have no raison d’être. There’s not much to do on a rainy day except wait for the skies to clear. It’s not the same when it comes to established towns and cities where beach weather is not such an important ingredient. Clearly, everywhere looks better when the golden orb is around but when it isn’t, it’s not a deal-breaker when you’re exploring the streets of an historic city. 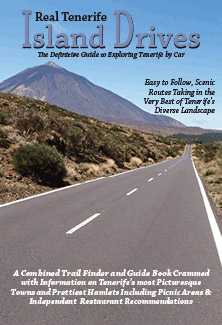 Which is just as well for Tenerife’s former capital of La Laguna, (or San Cristobál de La Laguna to give it its full title). 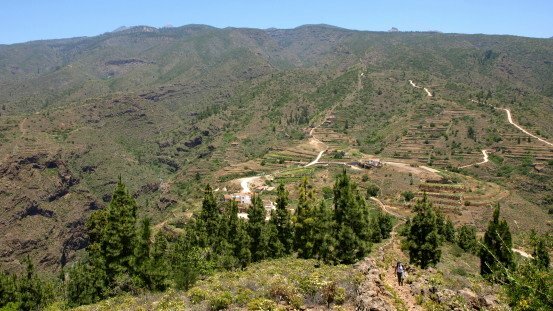 Sitting in a wide valley at 600m above sea level the city doesn’t enjoy the warmest, sunniest weather on Tenerife. But that doesn’t matter as its charm isn’t weather dependant. 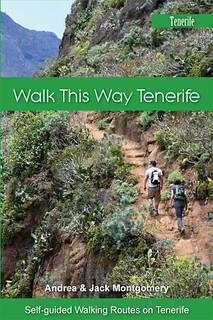 The old town is perfectly preserved and laid out in a ground-breaking grid (a blueprint for many a city in the New World) of colonial houses ranging from the humble to the grand, revealing the smorgasbord of nationalities who influenced the development of Tenerife following the conquest of the island. It’s so well preserved that it’s been declared a UNESCO World Heritage Site. If you read accounts of visits by Victorian travellers, the streets haven’t changed much in a couple of centuries. Some folk just aren’t very accomplished when it comes to exploring under their own steam. 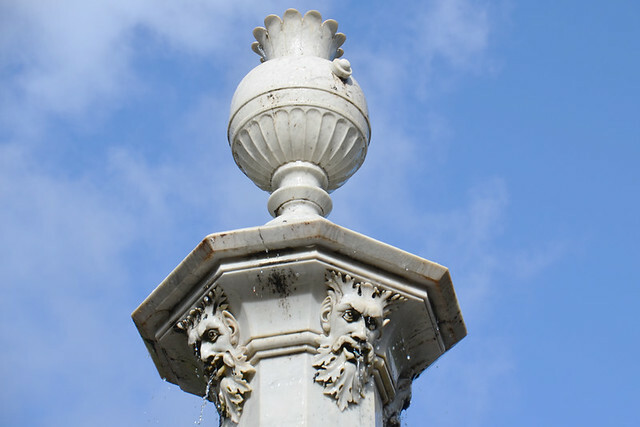 There are plenty of historical buildings to admire, independent shops to draw strollers in, inviting tascas, cafes, and museums and art galleries for culture seekers. 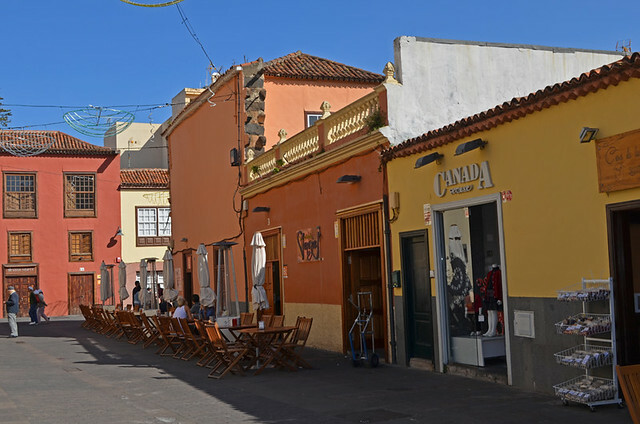 But in La Laguna’s old quarter just about every building looks as though it could be holding interesting treasures, and many are, so it’s easy to miss out on some of the best bits. 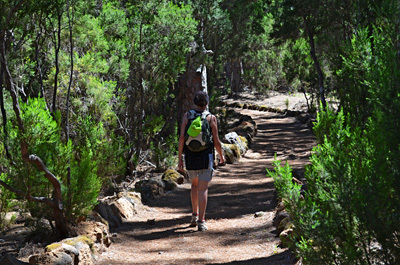 Every time we visit La Laguna we find out/experience something new. Sometimes it might be something simple – skull and crossbones on the floor of a church (we like the small things, they often tell you more about a place than the more obvious attractions). 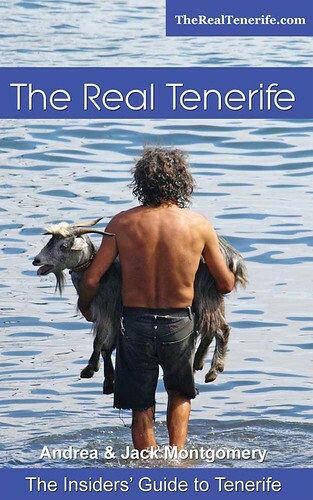 Sometimes it can be WOW – like wandering through a doorway to find an Aladdin’s cave of a fabulous food market (hugely popular for a short period but sadly it didn’t last long because of technicalities – in Tenerife that means somebody’s cocked up). 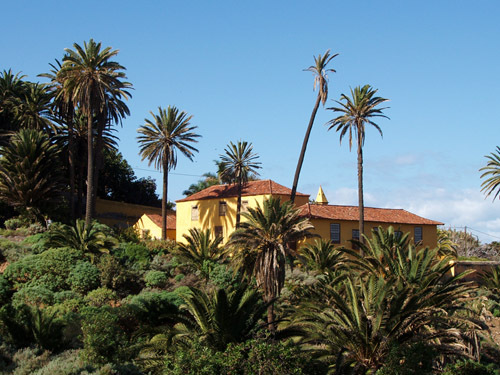 Over the years we built up a list of our favourite places to visit in La Laguna. There is the historic and the cultural. Often both can be found in the one package – there are a couple of old religious buildings which host contemporary art exhibitions. One time we visited a former convent to see an exhibition which featured shoes from various movies. 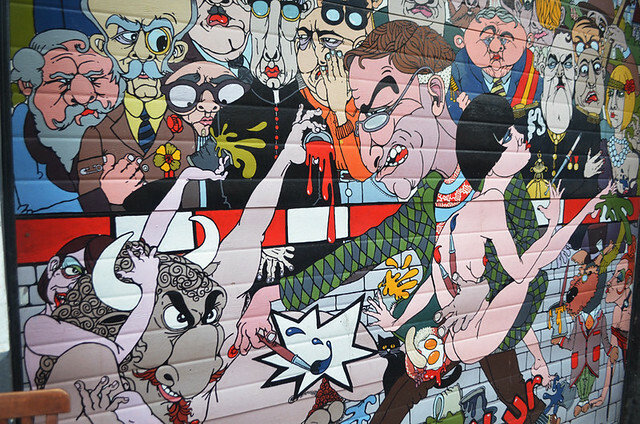 Whenever we find ourselves in the old town we make a point of checking out a garage door near the Iglesia de la Concepción to see if the satirical, and usually quite shocking, work of street art which adorns it has been changed. 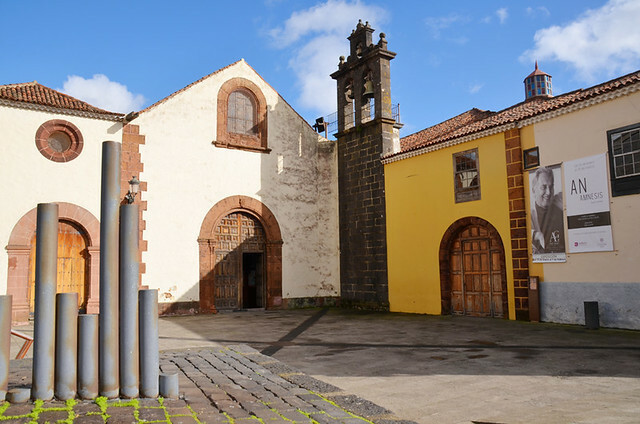 Then there’s the church which houses the body of a miracle performing nun and the font said to have been used to baptise the Guanches immediately following the conquest of Tenerife. Even seemingly anonymous passages can reveal surprises – one leading through one of the more modern buildings on the fringes of the old town passes passes below graffiti by in-demand artist Sabotaje Al Montaje. Being a university city you get this wonderful blend of youthful vibrancy combined with centuries of tradition. This stretches to the food and drink scene where there’s also a contrasting mix of the modern and the atmospherically traditional. 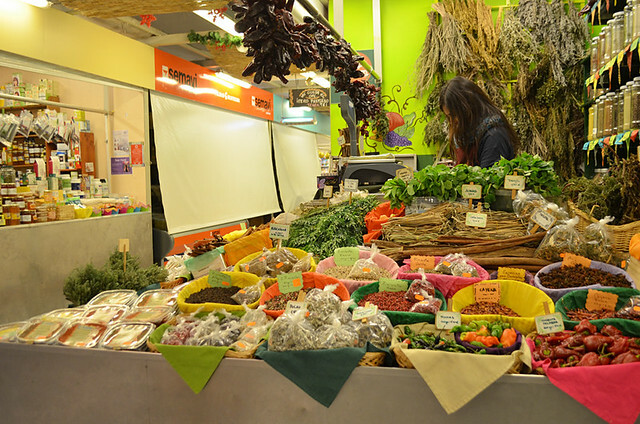 The farmers’ market is one of the best on the island and a must for foodies, whilst dotted around the old streets are numerous tapas bars (anyone who bemoans a lack of atmospheric tapas type bars on Tenerife clearly hasn’t visited the island’s bigger, historic towns and cities), stylish restaurants and cosy cafes. 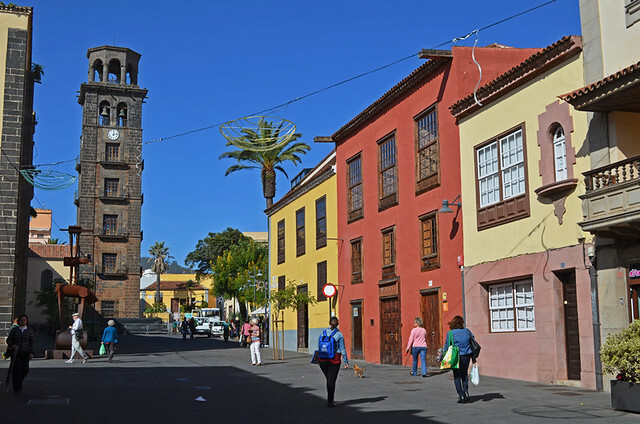 Last time we visited La Laguna the weather was horrendous, but it didn’t spoil our enjoyment of the place – we just spent more time frequenting the old town’s welcoming hostelries. 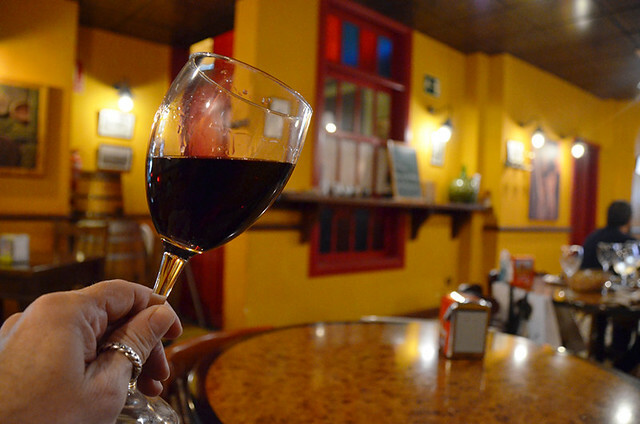 We drank local wines in a tasca where one of Spain’s best known artists was born; ate arepas (Venezuelan filled pitta-like cornflour rolls) in a bar where a trio of locals drank vino del pais and sang folk songs at the bar to pass the time; and warmed our hands on a barraquito in a quirky, arty cafe with steamed up windows. La Laguna is full of such places. Some people ‘get’ La Laguna, some don’t. For us it’s one of those locations we could visit over and over without ever becoming bored of wandering those fascinating old streets. Like I said, it’s an easy and satisfying place to explore without a guidebook, but for anyone who doesn’t want to end up like the disgruntled Tripadvisor reviewers mentioned we include a La Laguna city old town route in our series of walking guides. It includes all the places we like the best as well as some of our favourite refreshment stops.